Made in England, Jessica Fenner aka Fortune, came from a family that loved throwing big parties with live music, dancing and 200 or so happy people – clearly to blame for her passion for music events! Playing piano, flute and saxophone, early years were also influenced by local Bristol artists, Massive Attack, Roni Size, Morcheeba. When rave culture erupted in the 80s, Steve Silk Hurley’s Jack Your Body landed at #1 on the top 40 charts, The Prodigy and Carl Cox became household names, and the young music fan was hooked. By 16, she was involved with a local promotions outfit Transition, and was even suspended for taking younger girls clubbing! 1993, just turned 19, Fortune headed to California with $140 and a suitcase. Little sign of England’s popular dance music culture, Dr. Dre’s “The Chronic” bumped out of cars and clubs, East battled West, and she pursued her hip-hop education. Returning to England a year later a new genre was sweeping the nation – jungle. Her life revolved around weekends absorbing artists blowing up the clubs: Grooverider, Sasha, LTJ Bukem. Six months later, back to America, Milwaukee. A fixture in the city’s emerging club scene, she took up djing in ’99, quickly landing two underground hip-hop residencies. 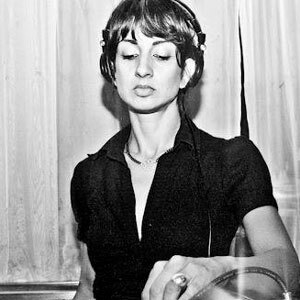 Developing her style to include house, techno and broken beats, she played every Milwaukee venue, then noted establishments across the States, including San Francisco’s infamous The EndUp; Minneapolis’s First Ave; Chicago’s SpyBar, The Mid, Primary and many performances at the legendary Smart Bar. Festival performances include: Spring Awakening, Summerfest, Wavefront, Winter Warmer and Even Furthur. A testament to her range, she’s been booked as direct support for a diverse selection of top tier artists, notably Audiojack, Claude VonStroke, Colette, Cassy, Catz & Dogz, Derrick Carter, Derrick May, Gaiser, Green Velvet, J.Phlip, Kate Simko, Johnny Fiasco, Justin Martin, Kaskade, Kenny Glasgow, Kid Sister, KiNK, Kool Keith, Pezzner, Superjane. In 2009 Milwaukee found its dance music venues closing and promoters moved on. Determined to keep house and techno in her city, Fortune quit her six year residency at the last standing club Three, shifting focus to her promotions company. Started as For U Events in ’05, rebranded as Apart in 2011, she’s produced non-stop weekly parties and larger scale events ever since, founded the well respected dj collaborative Apart Artists, and implemented an internship and mentoring program. Apart’s mission: grow Milwaukee’s underground dance music community, by shining light on local talent and delivering a steady stream of world class artists. Fortune’s mission: Facilitate happiness through music, whether as a dj, promoter or mentor. Achievements: Triple Threat DJ Battle, 1st Place 2003; featured Info DJ ‘04; Scion Emerging Artist nominee ‘05; founded For U Events ‘05; coordinated six date Milwaukee leg of National Scion/Imeem BEAT Tour 06; booked & managed KiNK’s first US tour ’08; launched Apart 2011 www.apart-music.com; tour coordinator, Dirtybird Record Label Hatched Tour 2012; launched apart internship & mentoring program 2013.